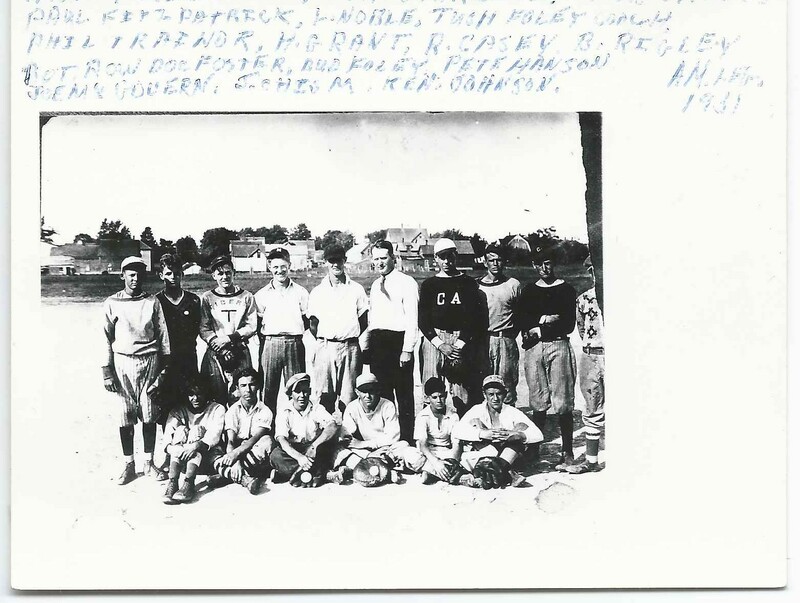 1931 photograph of the American Legion baseball team at Calais, Maine, with the players identified. Bot. Row, Doc Foster, Bud Foley, Pete Hanson, Joe McGovern, J. Chism [Chisolm? ], Ken Johnson"
If you have corrections to the identification above, or information on any of the players, please leave a comment or contact me directly. Thanks!